The trans-Atlantic relationship is “getting stronger,” Defense Secretary James Mattis told NATO Secretary General Jens Stoltenberg, amid an ongoing dispute between the US and Germany over European military spending. The White House announced Tuesday that President Donald Trump will attend a NATO summit on May 25 in Brussels. "The President looks forward to meeting with his NATO counterparts to reaffirm our strong commitment to NATO, and to discuss issues critical to the alliance, especially allied responsibility-sharing and NATO’s role in the fight against terrorism," the statement read. Stoltenberg is scheduled to visit Trump at the White House on April 12, according to the statement. Also Tuesday, the NATO secretary general arrived in Washington, DC ahead of the anti-ISIS coalition summit scheduled for Wednesday, and met with Mattis at the Pentagon. 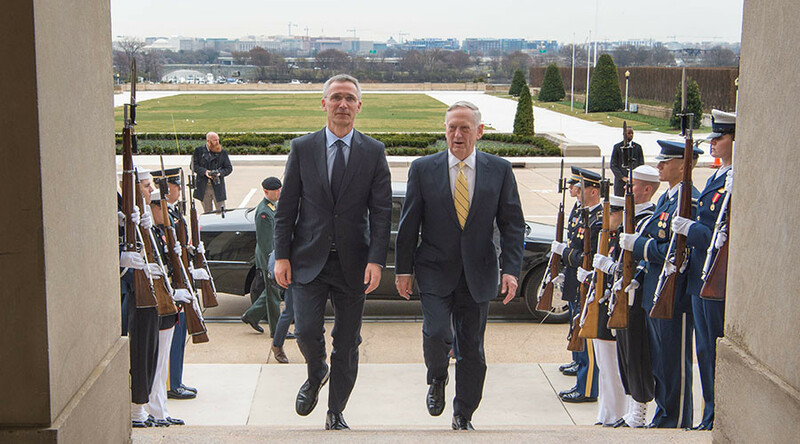 Stoltenberg thanked Mattis for “strong personal support and leadership” in the alliance. Mattis, a retired Marine general who received a waiver from Congress in order to become President Donald Trump’s defense secretary, noted that he had met with Stoltenberg twice already, in Brussels and in Munich. The two leaders discussed expanding NATO’s role in fighting terrorism and defeating Islamic State (IS, formerly ISIS/ISIL), as well as the ongoing NATO missions in Afghanistan and Kosovo, according to Pentagon spokesman Captain Jeff Davis. While President Trump has voiced “strong support” for NATO since taking office, he has also pressed Washington’s European allies hard on the commitment to increase their military spending made at the NATO 2014 summit in Wales. During his visit to Brussels last month, Mattis warned that the US could “moderate its commitment” if the allies failed to meet their obligations. Only five of the 28 NATO countries currently spend the agreed rate of 2 percent of their GDP on the military. Trump pointed out that Germany is not one of them, after his meeting with Chancellor Angela Merkel last week. The US “must be paid more for the powerful, and very expensive, defense it provides to Germany!” Trump tweeted. 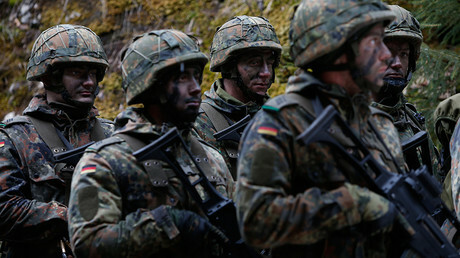 German Defense Minister Ursula von der Leyen replied that it was unfair to link Germany’s military expenditures only to NATO, as Berlin also spends money on UN peacekeeping missions, EU-run operations, and the international coalition against IS. News that US Secretary of State Rex Tillerson will not attend the NATO ministerial meeting in April was quickly interpreted as another snub by the Trump administration, with Reuters reporting that Tillerson would be visiting Russia instead. After Russian authorities said they were not aware of the visit as of yet, Reuters clarified that Tillerson will actually be attending the meeting between Trump and Chinese President Xi Jinping, scheduled for April 6-7.